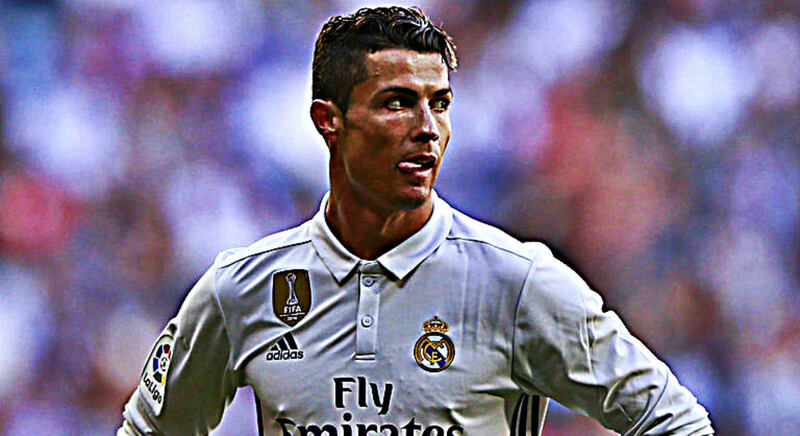 Cristiano Ronaldo is one of the richest athletes in the World – taking home a mammoth £450,000-a-week wage packet at Real Madrid. The Portugal skipper earns millions more in endorsements, but when it comes to doing charity work, CR7 sits at the top again. 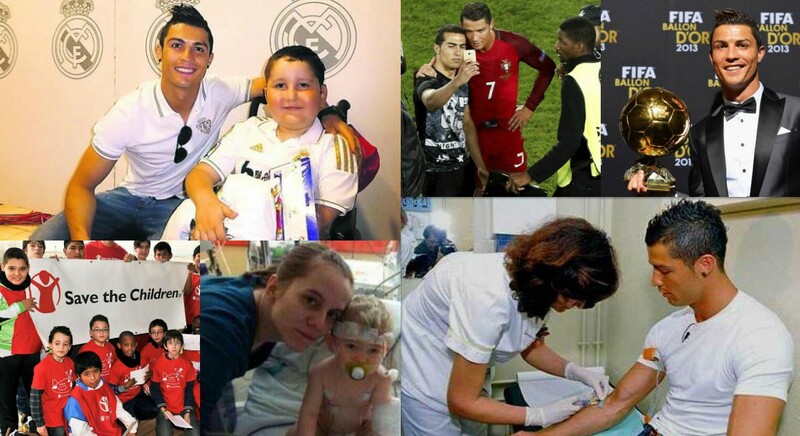 Cristiano Ronaldo was named the world’s most charitable athlete just two years ago and here are 16 stories that will bear testimony to the fact that the former Manchester United man has a golden heart. In 2011, Real Madrid finished second in La Liga and lost in the Champions League semi-finals under Jose Mourinho, but Cristiano Ronaldo earned the European Golden boot award after scoring 40 goals that season. 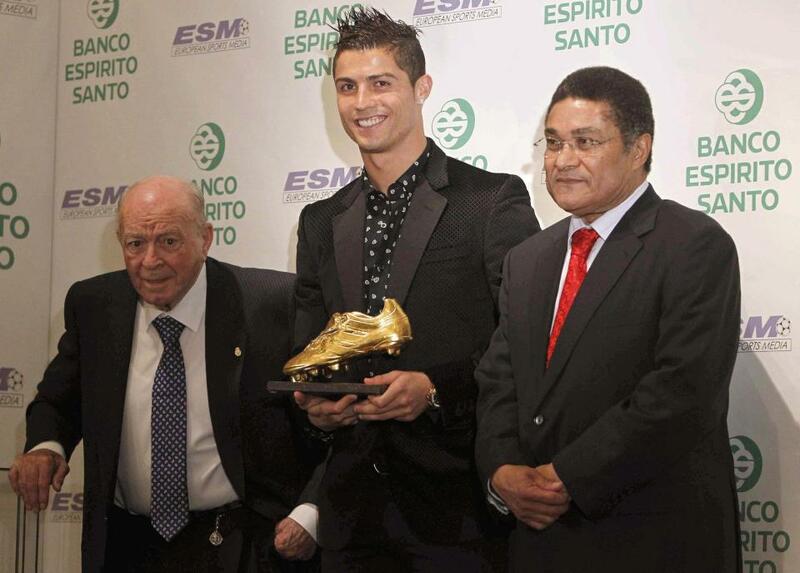 He could have kept the award in his trophy cabinet but the Portugal forward opted to sell it in an auction for charity. The award was sold for a whooping £1.2million and all the money was given to build schools for war-stricken Gaza. The Real Madrid superstar has again helped to raise hundreds of thousands at a charity auction. 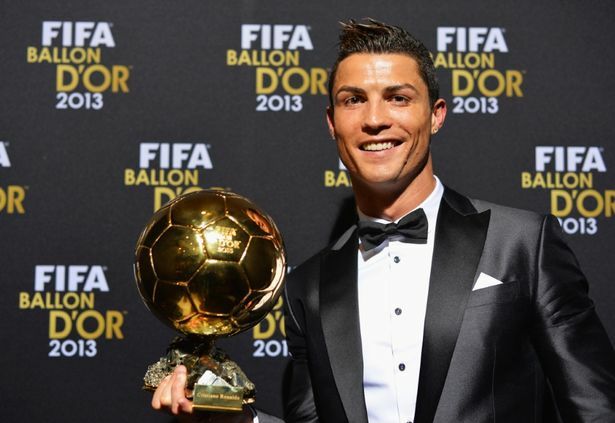 The former Manchester United star sold one of his four Ballon d’Ors for a staggering £530,000 at a charity auction. Ronaldo has always been altruistic and he made the kind gesture with all the cash raised from the auction going to the Make-A-Wish charity. Make-A-Wish Foundation grants wishes to kids with life-threatening or terminally ill medical conditions. Ronaldo won his first Ballon d’Or with Manchester United in 2008, and the next three times with Real Madrid in 2013, 2014 and 2016. Ronaldo donated his 2013 Ballon d’Or trophy at the charity auction in London. It was bought by Israel’s richest person, billionaire Idan Ofer. Ronaldo is an ambassador of three big charity organisations – Save the Children, Unicef and World Vision. And during the course of his illustrious football career, the four-time Ballon d’Or winner has been the mouthpiece of several other charity houses. In his 2014 Ballon d’Or acceptance speech, Ronaldo talked about meeting a group of children with leukemia. He also secretly donated a huge amount of money to the Save the Children charity organisation but asked them to keep mum about it. His Ice Bucket Challenge video in 2014 had raised hundreds of millions of pounds. Ronaldo has a golden heart and has always given up money earned from his spectacular performances. He earned a whopping €100,000 (£89,000) bonus after being named in the Uefa Team of the Year in 2013. 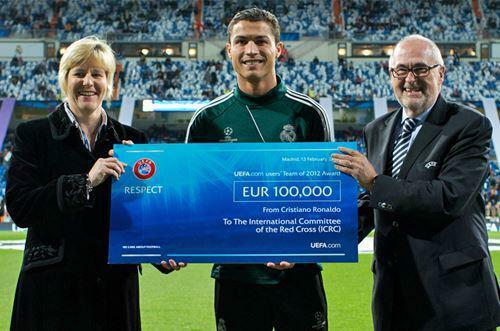 Ronaldo donated the entire sum to the Red Cross. In 2014, Ronaldo earned a bonus of £450,000 from Real Madrid after guiding them to their tenth Champions League victory. Instead of taking the money home, he gave it away to three charity organisations – Unicef, World Vision and Save the Children. Unlike his arch-rival Lionel Messi and other football stars, Ronaldo doe not have a single tattoo on his body. He decided not to ink his body because he is a regular blood donor and has always advised others to do the same. 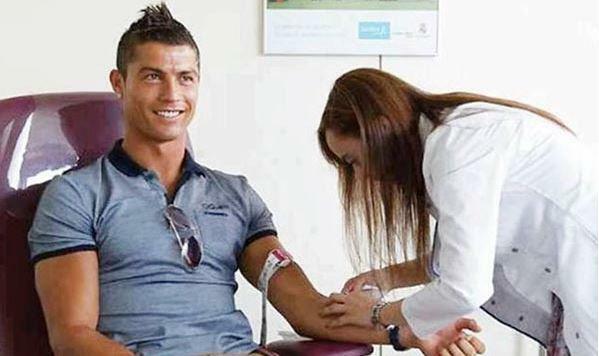 CR7 said in 2015: “We can all make a difference by donating blood. 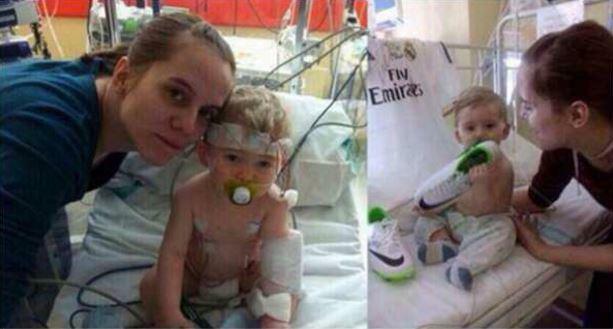 His former team-mate Carlos Martins needed bone marrow for his son and Ronaldo has been a donor since. Ronaldo donated a huge amount of money for earthquake victims in Nepal in April 2015. 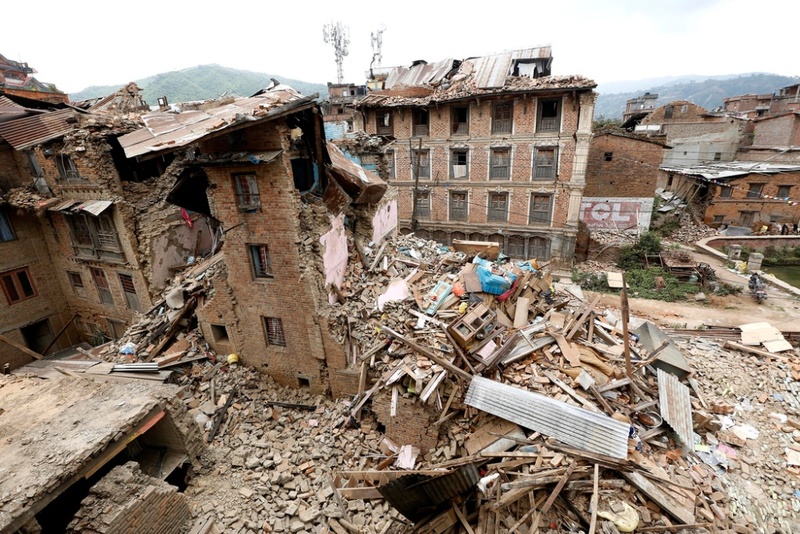 The 2015 earthquake shattered Nepal – killing 9,000 people, injuring 22,000 more. Ronaldo reportedly donated a whooping £5MILLION to Save the Children’s disaster relief fund. There was some controversy regarding the donation as it was denied by the charity organisation. However, it is understood that CR7, who has always given up money for charitable causes, did make a donation, but the actual amount is still unknown. 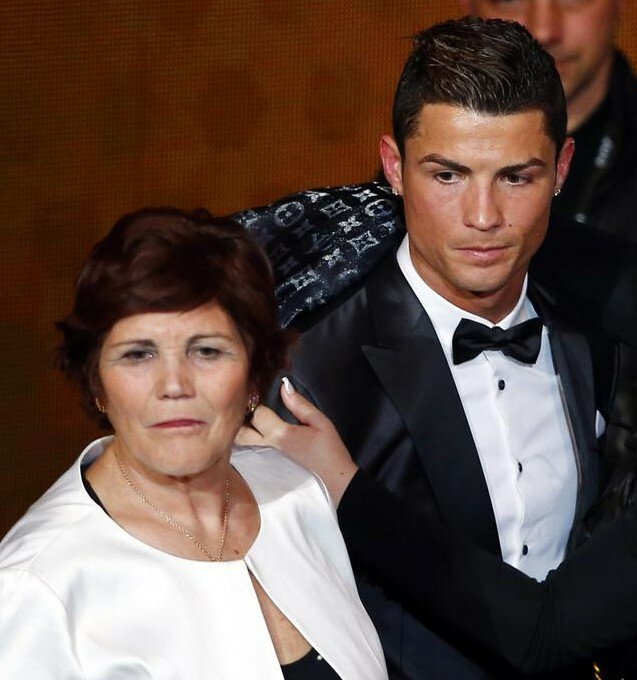 Ronaldo’s mother Dolores Aveiro survived breast cancer in 2007 – all thanks to a care centre in Portugal where, she underwent treatment. The Portugal forward thanked the cancer treatment centre by donating them £120,000. Real Madrid invited a young fan Haidar, whose parents were killed by a suicide bomber. He visited the club and met Ronaldo, who cuddled the youngster as he started crying after meeting his hero. The video clip, which will surely make you cry, has been watched by millions of football fans. 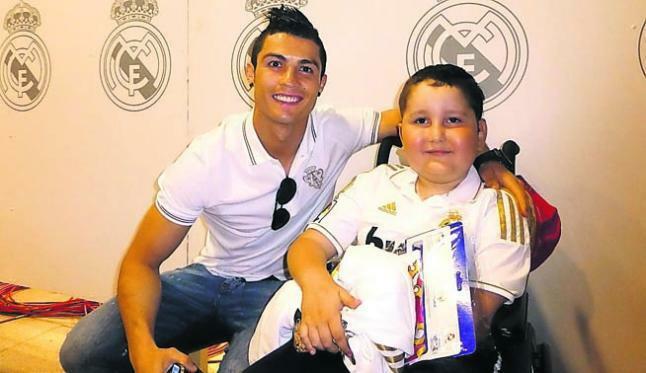 Ronaldo came to know about nine-year-old Nuhuzet Guillen, who was diagnosed with terminal cancer in 2009. He sent his driver to bring Nuhuzet and his family to the Real Madrid team hotel. Ronaldo invited him to watch the match from his private box at the Bernabeu and dedicated a goal Nuhuzet before handing him his match shirt. After hearing about Nuhuzet’s medical condition from his father, Ronaldo paid for the experimental treatment available in the US. When Nuhuzet’s condition deteriorated, Ronaldo paid for his entire treatment at a private medical centre. Ronaldo continued to pay for his treatment for more than a year but Nuhuzet passed away in 2013. 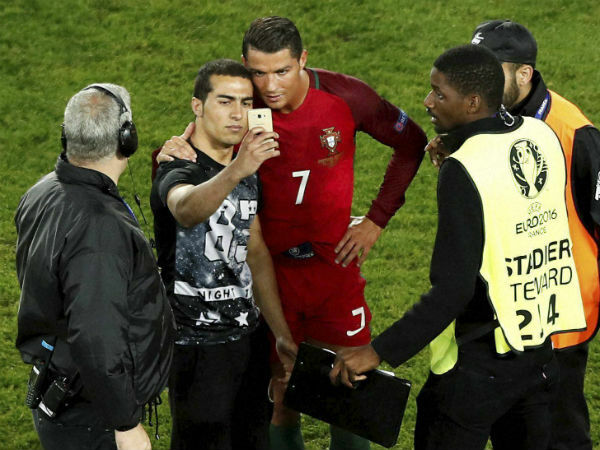 CR7 has always stopped to pose for selfies with pitch invaders or for giving away match shirts and signing autographs. Ronaldo is one of the best players to have played football and is often mobbed by fans and pitch invaders, who run after him for autographs and selfies. CR7 has always been kind to them. Instead of avoiding them, he has always stopped to pose for selfies or for giving away match shirts and signing autographs. On several occasions he has protected fans and pitch invaders from heavy-handed stewards. In 2014, the mother of a ten-month-old fan Erik Ortiz Cruz had asked Ronaldo to give his match shirt to his son. After Ronaldo came to know that Erik was suffering from cortical dysplasia – a brain abnormality, he paid £55,000 for the initial surgery and promised to pay any amount needed for further treatments. And till date no further treatment has been needed. You are the luckiest man on earth if Cristiano Ronaldo is your best friend. 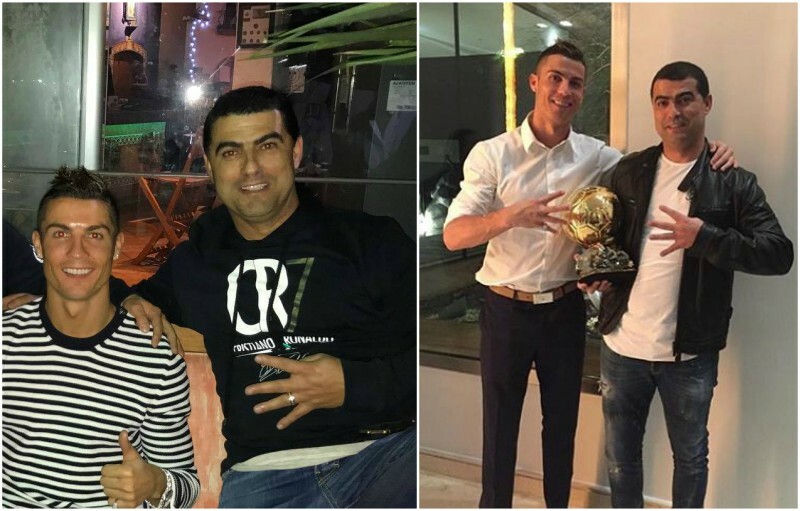 Jorge Mendes, who is Ronaldo’s agent and also his best friend, named the Portuguese forward his best man when he tied the nuptial knot with Sandra in 2015. And in return CR7 gifted his friend an entire Greek Island as a wedding present. The island reportedly costs something around £40MILLION. In a pre-season friendly with Bournemouth Ronaldo launched a free-kick into the stands of the the Vitality Stadium. Sadly the ball hit 11-year-old Charlie Silverwood and broke his arm. Club president Florentino Perez called Charlie, while Ronaldo gave him a signed Real Madrid shirt. But after the game, Ronaldo gifted Charlie a signed Real Madrid shirt. Another such incident occurred during a Champions League game when Ronaldo’s shot reached the stands making a young boy cry. Ronaldo went up into the stand and gave him his training shirt. Rangers legend Fernando Ricksen diagnosed with motor neurone disease in 2013. 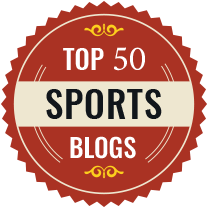 Ricksen couldn’t move around without a wheelchair and was totally dependent on his wife. After learning about his situation, Ronaldo made contact with the former Netherlands international on social media and invited Ricksen and his family to watch a match at the Bernabeu. 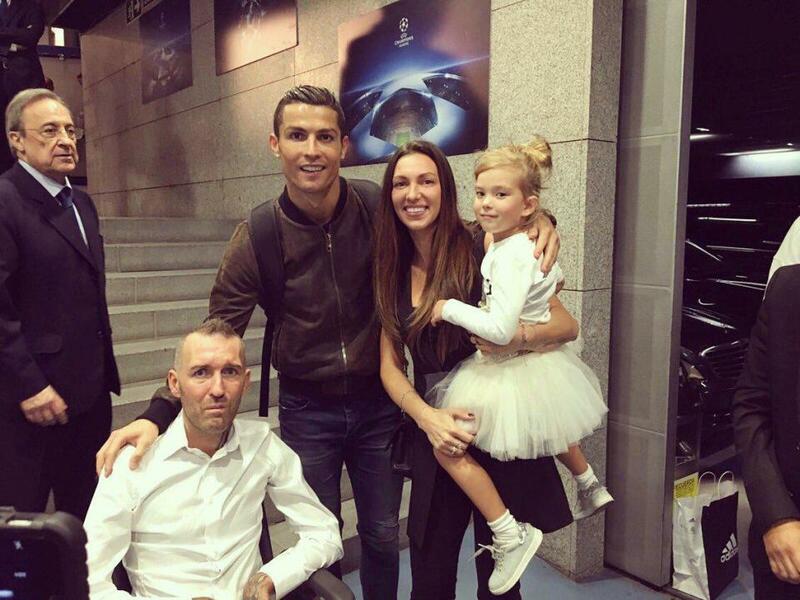 Ronaldo invited former Rangers defender Fernando Ricksen, who was diagnosed with motor neurone disease. Ronaldo also gifted him a shirt after winning against Legia Warsaw in the Champions League in October 2016. 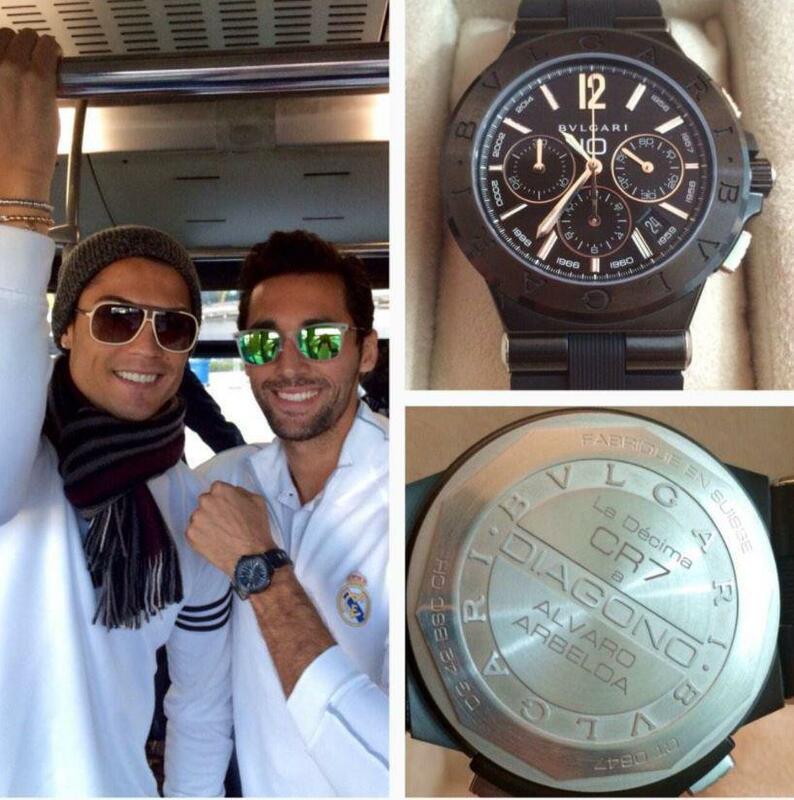 After Real Madrid won their tenth Champions League title, the players received huge win bonuses from the club, but to make the European triumph all the more special, Ronaldo gifted all his fellow team-mates personalised watches from luxury watch brand Bulgari. Each watch cost him around £5,000. Ronaldo’s father was an alcoholic who tried his best to quit drinking before he passed away in 2005. His older Hugo Aveiro was also addicted to alcohol and drugs before Ronaldo intervened to pull him out of his destructive habits. CR7 promised to dedicate La Decima to Hugo only if he stopped drinking and taking drugs. Hugo did as told and rushed on to the pitch to embrace Ronaldo after full-time. He now runs the CR7 Museum in Madeira. You might hate Ronaldo for his antics on the pitch but you can’t ignore that he is a wonderful human being – always reaching out to help others.